An Award-Winning Game Crawling With Possibilities! 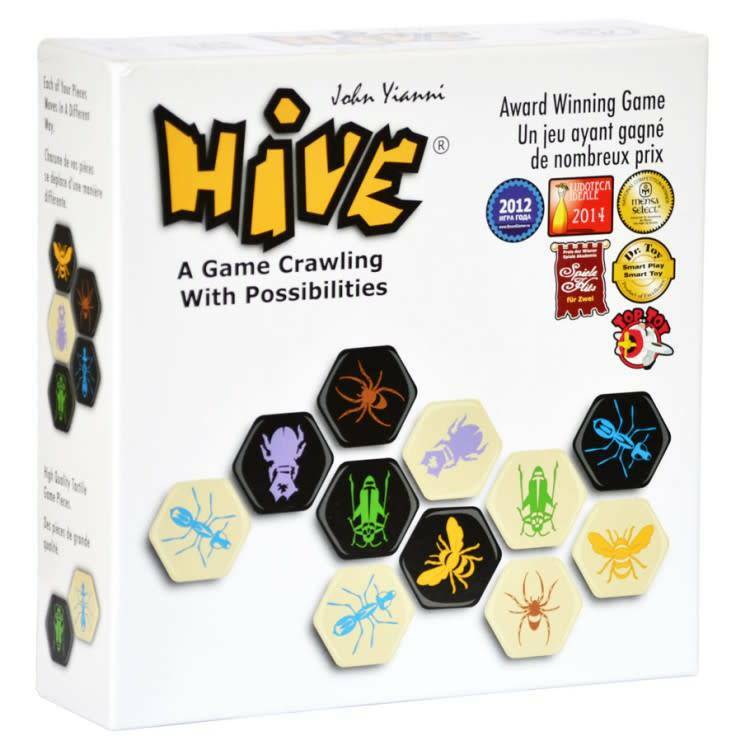 Make sure to keep one eye on the Hive and the other on your opponent`s reserve pieces in this 2-player game that builds strategy skills. Hive is a game with simple rules yet challenging in depth. In Hive, your goal is to surround your opponent`s queen bee while trying to block your opponents from doing the same. Each Player has 11 tiles representing five different insects, and each insect has a unique way of moving (as in chess) and resembles the movement of the insect depicted on the tile.